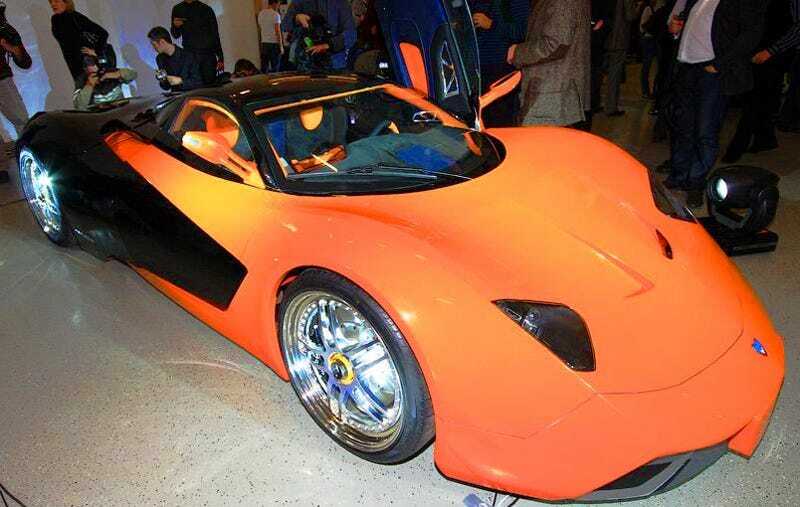 Russia's built themselves an electric supercar. Seriously. We might even be willing to be caught alive in this modular Russian beauty. Look out Tesla and Fisker, because in mother Russia, borscht may beat you. We thought the Lada Revolution 3 from last years Paris Motor Show was the tops in Russian supercars, but the Marussia completely crushes that notion with a supercar we'd be caught alive in. Lada Reveals A Supercar Concept! Wait, What? According to Russia Today, the Marussia is the brainchild of ADD-addled Nikolay Fomenko, who's got his fingers in everything from racing to theatrical acting. The Marussia starts with a tube-frame chassis onto which composite body panels are attached. The modular nature of the body means changes can be made easily to tweak the look of the car. That modular nature carries over in the engine bay, where the car will initially launch with a 240 to 300 HP version of the Nissan VQ V6.